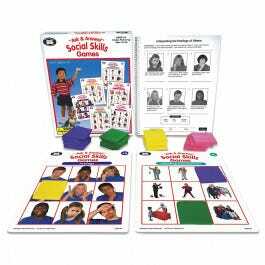 Motivate students to develop and improve social skills with fun games. Each skill area has four game boards, allowing one to four players to engage in the fun. Each board includes nine realistic photos that provide excellent visual cues for the targeted social skills. To play, ask social skills related questions (found in the handy activity booklet), and students answer what they would do in these situations. Players cover their "picture cue" game board spaces with colorful foam tokens as they play. First player to get three in a row wins. 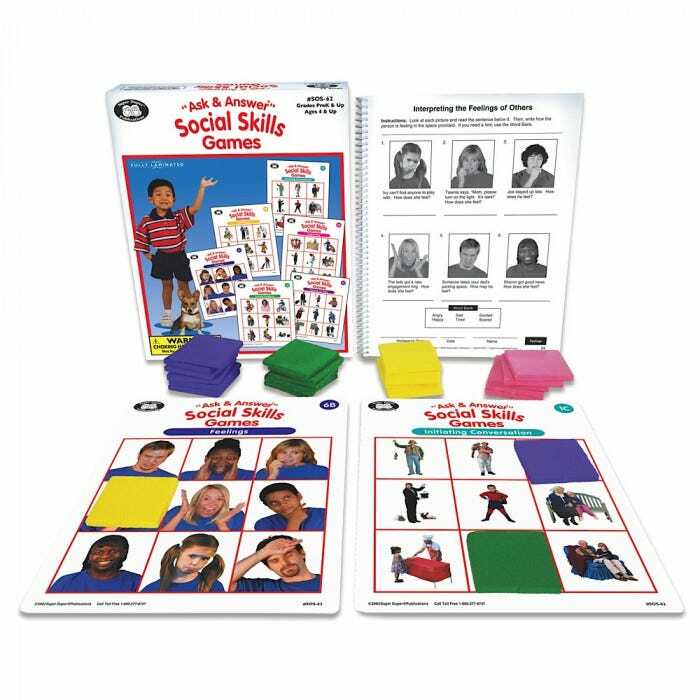 Includes 24 playing surfaces (12 game boards printed front and back), along with an activity booklet that provides four relevant social skill questions per picture (216 questions in all). Questions are organized, making it easy to match the question to the board number, letter, and row on each student's game board. 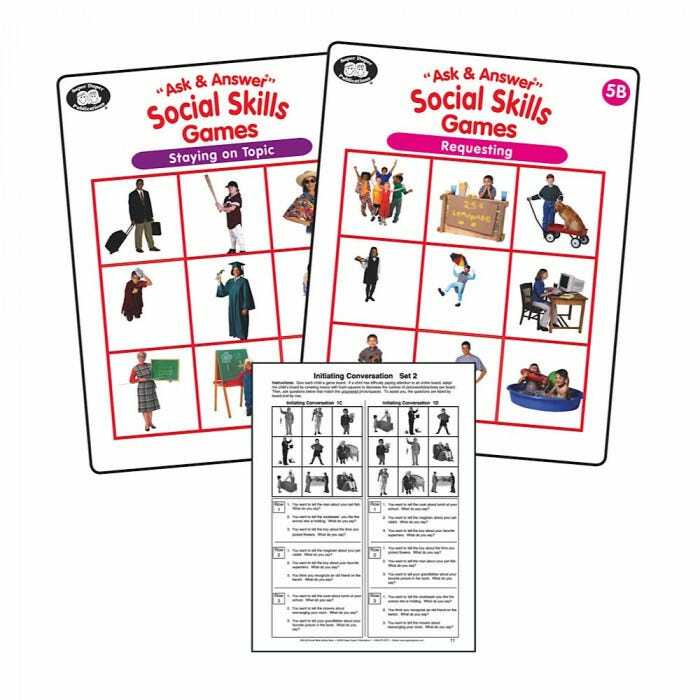 Activity booklet also contains a number of reproducible activity/homework sheets for additional social skills practice, as well as awards. Adapt the boards for students who have difficulty paying attention to nine pictures by using the foam squares to cover a desired number of pictures prior to playing. 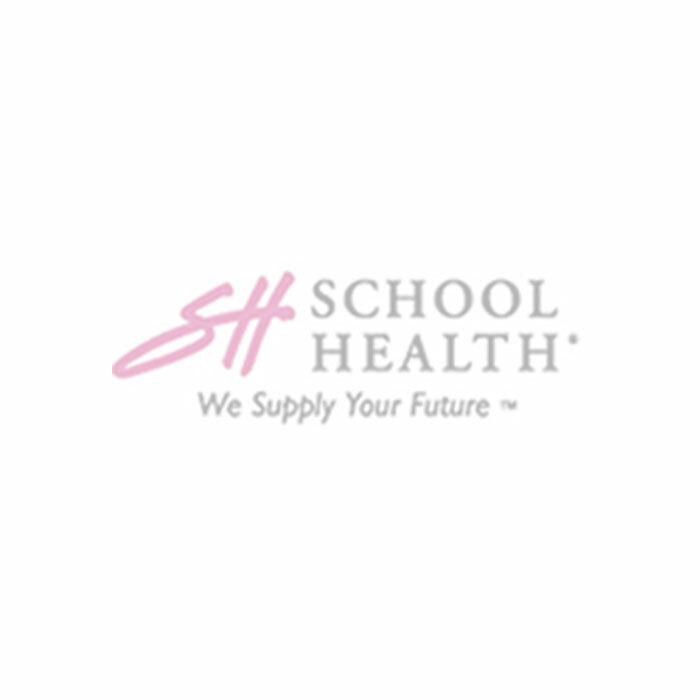 Grades PreK and up.